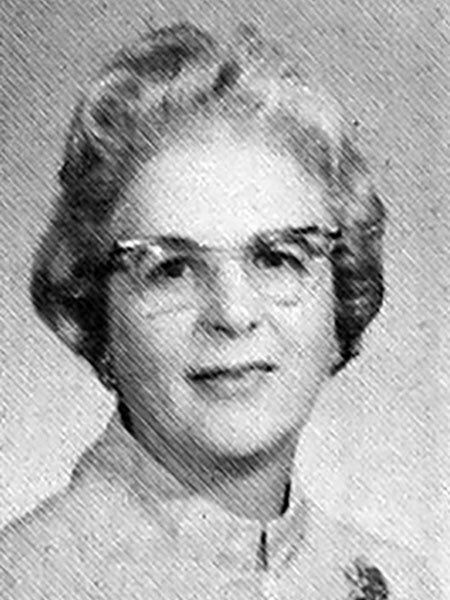 Born in 1915, she worked as a teacher and served as the Principal of Dieppe School (1952-1956) and Chapman School (1956-1961). In 1961, she moved to France to immerse herself in French language and culture, after which she returned to Winnipeg and taught French at the junior high and senior high levels for a number of years, including at Charleswood Collegiate (1969-1970). On 4 July 1942, she married Roy Edwin Brooks (?-1993) and they had a son and a daughter. She died at Winnipeg on 10 July 1995. “Social and personal news,” Winnipeg Free Press, 3 July 1942, page 8. Obituary [Roy Edwin Brooks], Winnipeg Free Press, 3 February 1993, page 35. Obituary, Winnipeg Free Press, 13 July 1995, page 16.